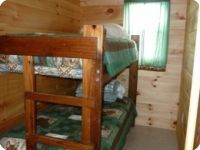 We offer a variety of options for sleeping and eating from small group cozy cabins up to large bunking for groups of up to 16! 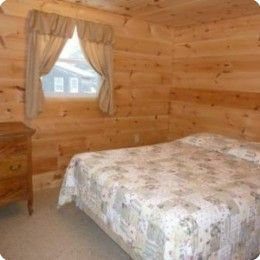 We offer a variety of lodging choices. 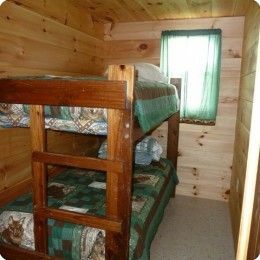 We have two cabins with 2 bedrooms that sleep 3 comfortably, full bathroom with a shower and complete kitchenette. 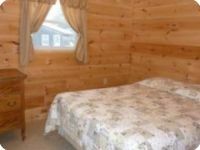 The “Log Cabin” is rustic and cozy which sleeps up to 10. 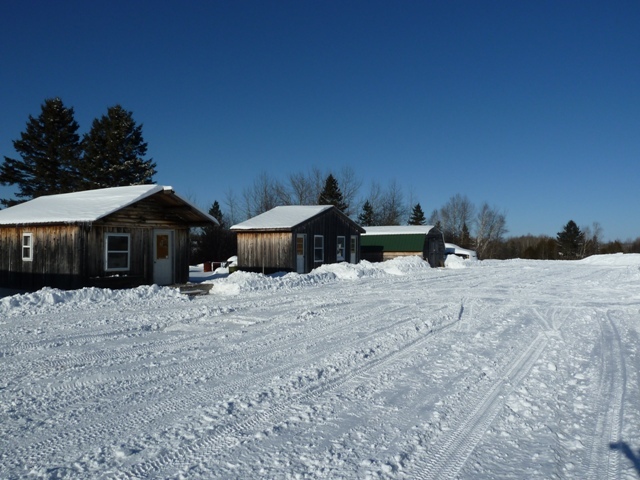 We also have a bunkhouse that sleeps up to 16 in four separate rooms each with their own outside entrance. The main lodge includes a social area with TV, a large modern kitchen and the dining area with cathedral ceiling where trophy mounts are hung. 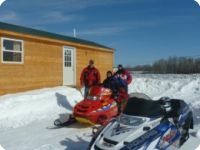 The lodge also has 3 full bathrooms with showers available to the bunk house, and rustic cabin guests. The meals are all home made by Louise who has been cooking for guests for over 14 years. The meals are simply scrumptious. All meals are served buffet style, all you can eat. Freshly made deserts are made from scratch and are just irresistible. You will look forward to Louise’s meals every day. We have easy payment plans for all packages. 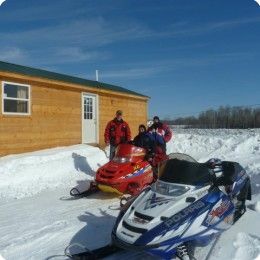 50 % non-refundable deposit is required within 2 weeks of making your reservation with balance due upon arrival. Memorable guided wildlife tours are offered year round and can be a photographers haven. For more information about our Guided Fishing Trips or other activities, email or give us a call by clicking here.